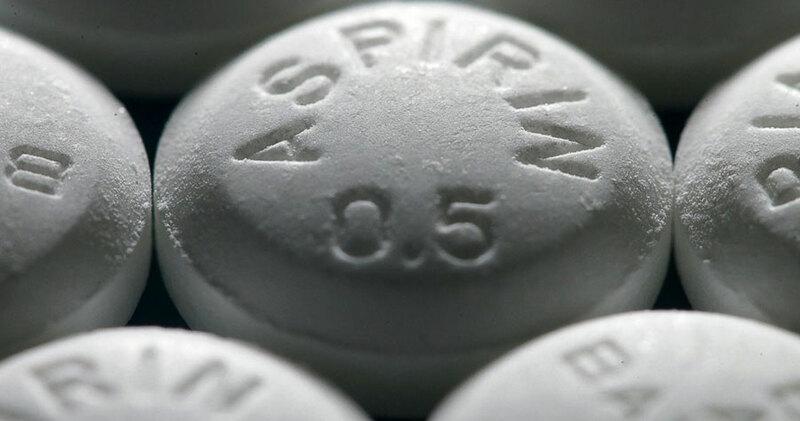 The U.S. Preventive Services Task Force (USPSTF) now recommends that a low dose of aspirin is of most benefit for people between the ages of 50 and 59, as it helps reduce the likelihood of developing heart disease and colon cancer. Aspirin is one of the world’s most important and most widely used painkillers. It is able to reduce inflammation and fever, but only to those that are not affected by bleeding conditions or severe cardiovascular issues. The medical team, comprised of 16 doctors chosen by the federal government, concluded that people between 50 and 69 years of age are able to benefit from the daily use of aspirin, but those that are between 60 and 69 should always consult their clinician before taking the medication on a regular basis. The reason is that the daily aspirin recommendation only applies to those people that have a life expectancy of at least 10 more years. The findings are based on the Task Force’s last recommendation, which was issued in 2009 and referred to the daily intake of aspirin to treat heart conditions. Task Force chairman Dr. Michael LeFevre stated that they are now able to assert that the chance of developing colon cancer is significantly lower by taking a daily small dose of aspirin. He also commented that at the time of the 2009 recommendation, they were doubtful about the differences between the effects of aspirin on men and women; but now, they can assure that there is no difference whatsoever. There was another recommendation issued on 2007, that indeed included the effects of daily aspirin intake on the risk of developing colon cancer, but the latest recommendation picks up both recommendations of 2007 and 2009 into one. Daily aspirin intake is also known to reduce the risk of heart attacks and strokes, as it is one of the most commonly issued medications by cardiologists. But even though regular aspirin doses can be of great benefit, an inadequate amount may cause severe damage to the body. Effects of aspirin poisoning may include vomiting, fever, and serious dehydration. Aspirin is often issued to relieve headaches, as one is expected to take regular doses throughout the day for relief, although one should always talk to a doctor before taking any sort of medication. If you eventually suffer from a heart attack, stroke, or any other cardiac dysfunction, it is very likely that your doctor issues daily aspirin therapy as a treatment.